As someone who has benefited from the reactions and responses of editors and readers of his own writing and who has also been a editor and mentor for students composing graduate theses in MA and MFA programs, I am available for critiquing and editing work-in-progress in creative nonfiction, whether essay, memoir, or other narrative and reflective writing. I attend to sentence-level issues of craft and manuscript-level issues of structure, give a close reading of the text, and, in addition to a thoroughly edited manuscript, offer the opportunity for online conferencing. For further information feel free to contact me through the Email the Author link on this page. Bob has been invited to university and college writing programs around the country and as distant as Alaska and Switzerland to read from his nonfiction, to speak on reading and writing creative nonfiction, to consult with writing faculty and confer with writing students, and to lead workshops in nonfiction. As a longtime teacher and writer he enjoys the opportunity to talk to other teachers, student writers, and the general public about his own work and about strategies for nonfiction writing. To contact him about possible speaking and/or teaching engagements click the link: Email the author, on the right side of the page. The Ekphrastic Review published the essay "Perspective" on January 16, 2019. Bob spoke about Walking Home Ground at the Barrett Memorial Library in Williams Bay, Wisconsin, on January 19 and the Waukesha Sunrise Rotary Club on March 5. The Isle Royale Artist-in-Residence Program included Bob's 1993 essay "Canoeing the Sky" and 2018 Isle Royale Reflection in its new Online Gallery at : https://www.nps.gov/isro/getinvolved/air-root.htm. Split Rock Review published "Time and Terrain," an essay set at High Cliff State Park in Wisconsin, in Issue 10, Spring 2018. The website also has an audio of Bob's reading of the essay. Bob gave a book talk on Walking Home Ground at the Caestecker Memorial Library in Green Lake, WI, on March 4. He spoke twice about the book at the Ice Age Trail Alliance Conference in Sheboygan on April 12 and 14. The following week he presented at the McMillan Library in Wisconsin Rapids on April 19 and at a noon event at the Leopold Foundation and an evening evening at the Village Booksmith in Baraboo on April 20. He spoke as part of the Wisconsin Historical Museum's "History Sandwiched In" series in Madison on May 15, and also at the IAT Waukesha/Milwaukee Chapter meeting at Lapham Peak on May 17. Bob's essay "Crossing the Cuesta" appears in Elemental, a nonfiction anthology edited by Anne-Marie Oomen published by Wayne State University Press in November 2018. Walking Home Ground: In the Footsteps of Muir, Leopold, and Derleth was read by Jim Fleming on WPR's "Chapter A Day" program Monday through Friday at 12:30 PM and 11 PM from May 28 through June 15 and each show was archived for an additional week after the broadcast. Bob's audio essay “Cave Crawling” premiered on Wisconsin Public Radio's Wisconsin Life on June 13, 2018. It can be accessed at https://www.wisconsinlife.org/story/cave-crawling/. Bob’s joint review of The Art of the Wasted Day by Patricia Hampl and Draft #4 by John McPhee was posted online at River Teeth on August 1. They are two books every essayist should read. Walking Home Ground was featured for five weeks in late August and September on Steve Harvey's literary website, The Humble Essayist, including excerpts from the Muir, Leopold, Derleth, and Fox River chapters. Contemporary Haibun Online published "Some Mornings" in the October 2018 issue. A video of Bob's talk at the Wisconsin Historical Museum in May was posted online in November as part of Wisconsin Public Television's University Place Series as "In the Footsteps of Muir, Leopold, and Derleth." It can be accessed at https://wpt4.org/wpt-video/university-place/in-the-footsteps-of-muir-leopold-and-derleth-f6d21q/. Bob's brief essay “Walking with Derleth” was published in the Winter 2017 issue of The Sage of Sac Prairie: The August Derleth Society Newsletter. On December 9 Bob joined nine other authors at the Milwaukee Historical Society for "Milwaukee Words," talking about and signing their books about Milwaukee and Wisconsin. Bob signed copies of Walking Home Ground and spoke about the Ice Age Trail with visitors. A short essay, "Hiking Wisconsin with 'Ghosts' of the Ice Age," about connecting with the glacial past on the Ice Age Trail, is accessible online at Zocalo Public Square. "Thinking Like an Island," an essay, was published in Isle Royale from the AIR: Poems, Stories, and Songs from 25 Years of Artists-in-Residence, edited by Phillip Sterling and published by Caffeinated Press. Walking Home Ground: In the Footsteps of Muir, Leopold, and Derleth, Bob's twentieth book, was published by Wisconsin Historical Society Press in October. His first book talk was presented at Books & Company in Oconomowoc on October 25. He also was available for book signing at the Wisconsin Historical Society's John Muir exhibits at the University of Wisconsin Parkside Library on November 7 and the University of Wisconsin Green Bay's David A. Cofrin Library on November 30. Bob's essay "The Welcome Oak" was broadcast on Wisconsin Life on May 17, 2017, his second contribution to the radio series. The text is also available online at https://www.wisconsinlife.org/story/welcome-oak. Bob's essay, "The Locks," about the locks of the Erie Canal and the Niagara Escarpment, was published online in Ascent in January. An article about a stop on the Niagara Escarpment along the Upper Peninsula of Michigan, "Seul Choix Point, Michigan: Of Shells and Strata, Time and Terrain" was posted the same day on the Narrative Map Project of The Great Lakes Review. For the Speaker's Series at the Avalon Retirement Community in Waukesha, WI, on April 5, Bob Root presented "Time by Moments Steals Away: Reading Ruth Douglass," a talk about editing Ruth Douglass's journal and subsequently writing Recovering Ruth. Bob published a haibun, "Labyrinth Garden," in the April 2016 issue of Contemporary Haibun Online. 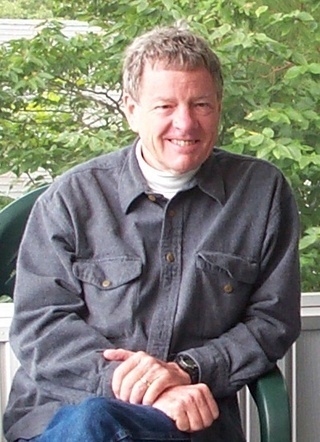 Bob became an occasional contributor of audio essays to Wisconsin Life, a feature of Wisconsin Public Radio. His first essay appeared on Earth Day, April 22, 206, and is available online at http://www.wisconsinlife.org/story/synchronicity-nature-and-life. Bob published an essay, "Caves," and a note about its composition, "Researching 'Caves'" in the Spring 2016 issue of Kentucky English Bulletin for its theme of "Researching Nonfiction." Bob was one of the presenters at the River Teeth Nonfiction Conference at Ashland University, Ashland, Ohio, June 3, 4, and 5. Dinty Moore and Elena Passarello were the keynote speakers, and a number of other writer/teachers offered panels and conferences. Bob's presentation was titled "Backstory: When, Where, Why, and Whether." At the 2016 Ashland University MFA in Creative Writing Summer Residency in Ashland, Ohio, Bob read two essays on Tuesday evening, July 19. Poet Mark Irwin and novelist William Hayward Henderson also read on that program. On Wednesday, July 20, at 1:00 Bob and novelist Erika Krouse offered a craft seminar on "The Value of Vignettes and Other Variations." Bob's article “Creative Nonfiction,” a survey of Midwestern creative nonfiction, has been published in Dictionary of Midwestern Literature. Volume Two: Dimensions of the Midwestern Literary Imagination by Indiana University Press (pages 179-184). Bob's talk, "Structure and Synchronicity," for the panel "'Fashioning a Text': Discovering Form and Shape in Literary Nonfiction" at the 2015 AWP Conference in Minneapolis was read in his absence by Elizabeth Dark Wiley on Thursday, April 9. Other panelists were Michael Steinberg, Michael Downs, Patrick Madden, and Elyssa East. Bob read "The Driving Lesson" at a launch event for the second issue of Thread on April 29 at Curt's Cafe South in Evanston, Illinois. The essay was published online on April 1. "The Matter of My Book," Bob's talk for the panel "The I or the Eye: The Narrator's Role in Nonfiction", was published online in the Winter/Spring 2015 Issue 147 of Triquarterly. Talks from that panel by Michael Steinberg, Lia Purpura, and Elyssa East were also published there. Bob's essay "Wild and Precious" was published online in the summer issue of Under The Sun. Walking Home Ground: Time, Terrain, Transition, Bob's twentieth book, will be published by Wisconsin Historical Society Press in Spring 2017. Bob presented on two panels at the 2014 AWP Conference in Seattle. He appeared with Philip Lopate, Elyssa East, Lia Purpura, and Michael Steinberg on the panel "The I or the Eye: The Narrator's Role in Nonfiction" and moderated the panel "Beyond the Gild: Lyric Imperatives in the Personal Essay" with Kathryn Winograd, Steven Harvey, Laura Julier, and Jocelyn Bartkevicius. The conference ran from February 28 through March 3, 2014 at the Washington State Convention Center and Sheraton Seattle Hotel. At the Ashland University MFA in Creative Writing Summer Residency, Bob read from his memoir, Happenstance. Reading with him were Jill Christman and Kathryn Winograd. A video of the reading is available at Bob's biography page at the MFA website. "Rain," a short essay Bob contributed to the "Beautiful Things" feature, is available on River Teeth's website (October 6, 2014). “Essaying the Image,” Bob's article on the imagessay, appears online at the website for The Essay Review, Volume 2 (2014). Bob published two haibun, "Mirrors" and "Autumn Again," in Contemporary Haibun Online 10:1 (April 2014). Bob Root presented a workshop with Tom Montgomery-Fate on "Knowing Where You Are, Knowing Where You've Been: Writing In and About Place" at the second River Teeth Nonfiction Conference at Ashland University May 17-19, 2013. Bob taught an online course for the Loft Literary Center in Minneapolis titled "Knowing Where You Are: Writing Nature, Writing Place." The course ran from February 4 through March 31, 2013. "The Long and Winding Road: A Memoirist's Journey" is the title of a guest essay Bob wrote for Michael Steinberg's blog at www.mjsteinberg.net/​blog.htm, dated February 9. 2013. It describes the process of writing Bob's memoir, Happenstance. Bob published Limited Sight Distance: Essays for Airwaves in both print and e-book editions. The book collects the best of the "Thinking Out Loud" radio scripts he broadcast from 1980 to 1987 on public radio in Michigan. He also edited a collection of his grandmother's 1937 Buffalo Courier-Express columns, How to Develop Your Personality by Betsy Root. The book is available in paperback and e-book editions. Happenstance, Bob's memoir, was published by the University of Iowa Press as part of its Sightlines series of nonfiction books. Bob was a participant on the panel, “Desperate and Deliberate: Thoreau and the Nature Writer,” at the Associated Writing Programs Conference, Chicago, IL, in March 2012. Co-presenters were Elizabeth Dodd, Mary Swander, and David Gessner. He also read his nonfiction at AWP in celebration of the Ashland University MFA Fifth Year Anniversary. Jill Christman, Kathy Winograd, Sonya Huber, and Steve Harvey read as well. Bob's Interview with Carl Klaus was published in the Spring 2012 issue of Fourth Genre: Explorations in Nonfiction. Bob Root’s article “Creative Nonfiction in the Midwest” will appear in the forthcoming Dictionary of Midwestern Literature Volume 2: Dimensions of the Midwestern Literary Imagination, due for publication by Indiana University Press in the 2014-2015 academic year. Bob's collection of essays, Postscripts: Retrospections on Time and Place, was published in September 2012 by University of Nebraska Press. Bob presented a talk on "Finding Place: Becoming a Figure in a Landscape" at the Wisconsin Book Festival in Madison on November 10, 2012. He read from Landscapes with Figures and Postscripts . Bob appeared on a panel on “Innovations in Teaching the Essay” at the Second Annual In Praise of The Essay Conference at Fordham University in New York City, October 15, 2011. The conference was sponsored by Welcome Table Press, an independent publisher devoted solely to the essay. All presentations were published in the Press’s “Occasional Papers on Teaching the Essay” series. Bob was a visiting writing at the Sanibel Island Writers Conference, Sanibel Island, Florida, November 4-7, 2011. He presented workships on nonfiction writing and served on a publishing panel, as well as read from his nonfiction. Bob's Interview with Lia Purpura was published in the Fall 2011 issue Fourth Genre: Explorations in Nonfiction. “Call It An Epiphany: An Interview with Robert Root,” edited by Kerry Hanrahan, appears in the Spring 2011 issue of The Pinch. The sixth edition of The Fourth Genre: Contemporary Writers of/on Creative Nonfiction, edited by Bob Root and Michael Steinberg, was published in June by Pearson. Bob offered four workshops on place at the Geneva Writers' Conference in Switzerland February 5-7, 2010. The event was sponsored by the Geneva Writers' Group. At AWP in Denver, April 7-10, Bob spoke on the panel "Writing Biographies: Making Someone Else's Story Your Own." The other panelists included Diana Raab, Phillip Lopate, Honor Moore, Joy Castro, and Kim Stafford. While in Colorado Bob spoke at the Littleton Historical Museum on April 8 and the Estes Park History Museum on April 17 about his research into Colorado history and his book traveling in the footsteps of Isabella Bird. He also participated in the Arapaho County Community College Writer's Studio Festival on April 11 and visited classes and read from his writing at Adams State College in Alamosa on April 13. He consulted with the Program in Writing and Rhetoric at the University of Colorado at Boulder and gave a public reading there on Thursday evening, April 15. Bob taught a five-day intensive workshop on writing alternative nonfiction at the Loft Literary Center in Minneapolis, June 14-18, 2010. Bob spoke on the panel "Read This: The Writer as Reader" at the Iowa Nonfiction Now Conference in Iowa City on November 4, 2010. Other panelists included Marcia Aldrich, Ned Stuckey-French, E. J. Levy, and Laura Julier. In Spring 2009 Bob's Colorado book, Following Isabella: Travels in Colorado Then and Now, was published by the University of Oklahoma Press. In January 2009 Pearson/Longman published the fifth edition of the anthology, The Fourth Genre: Contemporary Writers of/on Creative Nonfiction. The personal essay "Postscript to a Postscript to 'The Ring of Time'" appeared in the Spring 2009 issue of The Pinch. At the February 2009 AWP Conference in Chicago Bob was part of two panels: "Must the Memoir Read Like a Novel?" with Thomas Larson, Bob Shacochis, Jocelyn Bartkevicius, and Dale Rigby and "Creative in Form, Nonfiction in Content" with Michael Steinberg, Ned Stuckey-French, and Marcia Aldrich. The Summer Residency for the Ashland University low-residency MFA Program in Creative Writing ran from July 25-August 8. Bob read from new writing, presented a craft seminar,"Shaping Language in Nonfiction and Poetry," with Kathryn Winograd, and mentored writers in two workshops. At the 2009 Kachemak Bay Writers Conference in Homer, Alaska, June 12-16. Bob presented workshops and a reading, served as a panelist on two panels, and consulted with individual writers on their manuscripts. Interviews with Bob about Following Isabella broadcast on "Colorado Matters" on KCFR-FM in Denver and on "Write On Four Corners" on KSJE-FM are available in their online archives (www.cpr.org and www.ksje.com). Bob taught a workshop on the alternative essay and memoir at the Loft Literary Center in Minneapolis, Minnesota, on September 12. He visited the University of Memphis on October 1 to speak to MFA students and to read from and talk about his nonfiction writing. In 2008, Bob presented at a session on how creative writers can effectively teach composition at the Association of Writers and Writing Programs Conference in New York City, February 2. His fellow panelists included Michael Steinberg, Sarah Dickerson, and, filling in for Lad Tobin, Anne-Marie Oomen. In February Bob led a workshop on writing for Lighthouse Writers Workshop in Denver. The workshop, taking place on Saturday, February 23, titled "Writing Nonlinear Prose," helped nonfictionists and fictionists alike work with segmented and experimental forms. During Lighthouse Writers Literary Festival in June Bob offered two evening workshops, one on writing segmented prose on June 11 and the other on revising prose on June 16. Bob also read two pieces on fog at the Lighthouse Faculty Reading on Saturday, June 7, an event at the Mercury Cafe. On two consecutive weekends, from 1-4 each Saturday and Sunday, Bob also taught a class entitled "Making Memoir," focused on helping writers start, progress, or complete memoirs. As a faculty member at the MFA Program at Ashland University, Bob ran a workshop, presented a craft seminar with poets Kathryn Winograd and Angie Estes on "The Lyric Mode in Poetry and Nonfiction," and read from published and unpublished writing at the Summer Residency, July 13-26 in Ashland, Ohio. Bob's essay "Terra Cognita" was published in the Summer 2008 issue of Colorado Review. His conference paper, "Locating the Nonfiction of Place," was published in Region, Nation, Frontiers: Proceedings from the 11th International Region and Nation Literature Association Conference, published by Cambridge Scholars Press. Throughout the early months of 2008 Bob contributed articles on the history of the Colorado Authors' League to the CAL website at www.coloradoauthors.org. Articles include a reprint of a news article on the founding of CAL, articles on Arthur Carhart and Mary Coyle Chase, and a posting of poetry winners of the CAL Top Hand and Writing Awards. On Wednesday, February 28, 2007, at Four Mile House Historical Park in Denver, Bob read from Recovering Ruth: A Biographer's Tale at an event sponsored by Colorado Pregnancy and Newborn Loss Services. He also signed copies of the book and copies of "A Guide to Editing and Publishing Family Manuscripts." On March 24, 2007, Bob was a panelist at the Conference on College Composition and Communication at the Hilton in New York City. He spoke about "The Nonfiction Motive." At the same conference, during the Special Interest Group in Creative Nonfiction meeting, he received the 2006 Donald Murray Prize for his essay "A Double Life." For the first public reading and signing of the anthology Landscapes With Figures: The Nonfiction of Place Bob spoke at the Tattered Cover Bookstore in Denver's LoDo as part of the Rocky Mountain Land Series on Saturday, March 31, 2007. Bob participated in the Author's Open House at the Englewood (Colorado) Public Library on April 15, 2007 1-3 p.m. where he signed copies of Landscapes With Figures. During the meeting of ASLE, the Association for Study of Literature and the Environment, June 12-16, 2007, Bob and two other essayists, Elizabeth Dodd and Lisa Knopp, read from their work on a panel titled "Going Coastal." Bob's reading excerpted a new essay, "The Coast of Acadia." The event was at Wofford College, Spartanburg, South Carolina. Also in June Bob spoke about writing nonfiction during the Lighthouse Writers Literary Festival in Denver. He presented "The Art of Seeing in Nonfiction" on June 12 and "The Nonfiction of Place" on June 21. In connection with the Lighthouse Writers Literary Festival Bob read from his creative nonfiction, a section of Recovering Ruth, as part of a faculty reading event on Tuesday, June 12, at Nine10 Arts in Denver. On September 20th Bob read from and discussed Landscapes With Figures at St. Lawrence University, Canton, New York. While there he visited writing classes and spoke to students in an Adirondack field study program in the mountains. In October Bob spoke at the Jefferson Unitarian Church in Golden, CO, on Tuesday the 16th on the nonfiction of place, as part of the Osher Lifelong Learning Institute of the University of Denver. A few days later Bob was among the presenters at the Author Fest of the Rockies event in Manitou Springs, CO, and gave a workshop on prose style on Saturday, October 20. He also read part of "Anasazi" at a Friday night poetry (and prose) reading. At the biannual University of Iowa NonfictioNow Conference in Iowa City, November 1-3, 2007, Bob spoke on the sources and motives in writing for a panel titled "Composition=Creative Nonfiction." Other panelists included Michael Steinberg, Lad Tobin, and Mimi Schwartz. He was also a participant in a tribute to nonfiction guru Carl Klaus. On November 28 Rowman & Littlefield published his newest book, The Nonfictionist's Guide: On Reading and Writing Creative Nonfiction. Bill Milligan's review of the book appears in the Winter 2008 issue of Brevity, online at http://www.creativenonfiction.org/brevity/index.htm. Bob Root spoke on “Locating the Nonfiction of Place” at the Eleventh International Conference on the Literature of Region and Nation” at Kansas State University, Manhattan, KS, on Sunday, July 30, at 1:00 p.m. in the KSU Union. While serving as an Artist-in-Residence from August 27 to September 15 at Acadia National Park in Maine, Bob spoke to sixth grade students at the Schoodic Education and Research Center on the evening of September 14 and gave a public reading from his writing on September 15. Bob has also agreed to serve as editor of a new feature, "Tales from the Trails," that will appear on the Colorado Mountain Club website and occasionally in the print publication, Trail & Timberline Quarterly. "Tales from the Trails" will published short (750-850 words) nonfiction accounts of hiking, climbing, trekking, snowshoeing and skiing submitted by members of the Colorado Mountain Club. Bob talked about the writing of historical nonfiction at the Box Factory for the Arts in St. Joseph, Michigan, on Saturday November 4, 2006. His morning keynote was titled "The Past Is Another Country: Notes on Time Travel in History and Nonfiction." He also worked with writers in the Writer's Studio in the afternoon. While in Michigan Bob talked to students in nonfiction and literary studies classes in the English Department at Central Michigan University and spoke on "The Nonfiction of Place" on the evening of November 7.